CSA stands for Community Supported Agriculture. It is a way for farmers and consumers to connect directly without a middleman, and ahead of the growing season. In short: people buy "shares" of a farm's harvest in advance and then receive a portion of the crops as they're harvested. Your purchase of a CSA flower share helps us tremendously with planning how much to grow, having capital to buy seeds and supplies in the winter, and reducing our marketing costs and time during our busy season. The CSA is the biggest part of our business. Thank you! Where are your pick up locations? What are the pick up days and times? What can I expect in my flower CSA share each week? Every week, our farmers walk the fields together and decide what is best to harvest for our flower shares. We will send a weekly newsletter to our members sharing stories from the farm and details about what will be in the shares. On pick up day, our designers create our bouquets using ingredients harvested within 24 hours from our fields. We work hard to bring a different blend of flowers and varieties to our flower share every week, and to give you a glimpse of the best of what's growing in our fields. How do you value your flower shares? The weekly value of each bouquet is an average of all of the weeks. Some weeks you may receive a larger bouquet than others based on the variety and quantity of flowers in bloom. Our flower share members receive on average a 15% discount over our farm stand prices and are given first priority every week. Note on pick up locations: Each pick up location must have a minimum number of 5 shareholders. 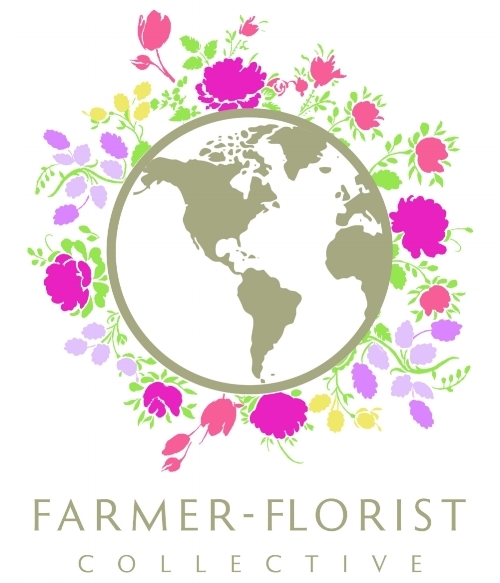 If a location does not meet the minimum, Cross Street Flower Farm will contact the affected shareholders and offer them an alternative pick up location or refund their share price. I purchased a share. When will it start? Our start date for our shares are approximate based on the weather, especially in the Spring. Our Spring share usually begins in mid April and runs through mid May. Our Summer share usually starts around June 20th through August. The Fall Share begins after Labor Day through mid October. Once the share begins, we will send a newsletter every week to remind you to pick up your share. Please be sure to add info@csflowerfarm.com to your contacts so our emails do not go to your spam folder. Also, if you gifted a share to a friend or loved one, please make sure we have their email so they receive our weekly newsletters. You can email us at info@csflowerfarm to confirm. Change Your Pick Up Location? Before the share begins, we can allow a one-time courtesy to change the preferred pickup location prior to the share starting. Once the season starts, we will not be able to make any further change to pick up locations. I'm going on vacation, can I pick-up my share at a later date? If you are going to be away, we encourage you to have a friend or neighbor pick up your share. We finalize our seeding and planting schedules months in advance to meet the needs of our shares and orders each week. Unfortunately, we can not accommodate vacation change requests during the season. I missed my share pick up this week, can I reschedule my pick up for another day? Please know it is every shareholder's responsibility to pick up their share during the allotted pick up time. We understand that our shareholders have busy schedules. All shares at Cross Street Flower Farm will be held in the walk-in cooler for 24 hours. However, our partner locations have volunteered their valuable retail space to host our CSA pick ups, and it is at their discretion if they will hold the shares overnight. If you do not pick up your share during your alloted pick up time, it is the right of the retail host to donate unclaimed shares at their discretion. Thank you for your understanding. I see that you are not offering home delivery this season. Will you offer more pick up locations instead? Yes, we would like to add new pick up locations for the 2019 season around the South Shore and in Boston. If you know of a good pick up spot for Cross Street Flower Farm, please email us at: info@csflowerfarm.com We need at least 5 shares to open a new pick up spot. Yes! Send us an email to: info@csflowerfarm.com and we will add you to our Volunteer List. What happens if a natural disaster destroys all of the flowers? As farmers, we are humbled by Mother Nature, she is our not so silent third partner. We work hard to mitigate risks through good planning, crop diversification, by protecting our crops from early and late frosts, pests, disease, high winds, and most anything Mother Nature throws at us. We also greatly appreciate you -our CSA flower share members - for sharing this risks and rewards of farming with us. You pay for your share in the winter, which allows us to cover the costs of seeds and supplies. Your encouraging words throughout the season remind us why we love growing and sharing our flower farming journey with you. We greatly appreciate your willingness to follow along and share both the risks and rewards. For our part, we promise to work tirelessly to uphold our end of the bargain and deliver sustainable, local, fresh flowers to you each week.